It is no surprise that window shutters are gaining in popularity. Nothing quite beats the luxurious appearance of Norman or Graber shutters on a window. Whether you want this style for your home or office, you’ll find the best products and services here at Sundown Home & Office Window Tint, Blinds & Shades. We have been a trusted source for window tinting and window coverings since 1987 and have several thousand happy customers to show for it. We are confident that we can create the beautiful appearance you want for your windows with top-quality, custom window shutters that will give you many years of performance. Window shutters aren’t just beautiful. They are also a highly functional option that gives you full control over light and privacy while also offering energy savings. We specialize in environmentally friendly options that you can feel good about. 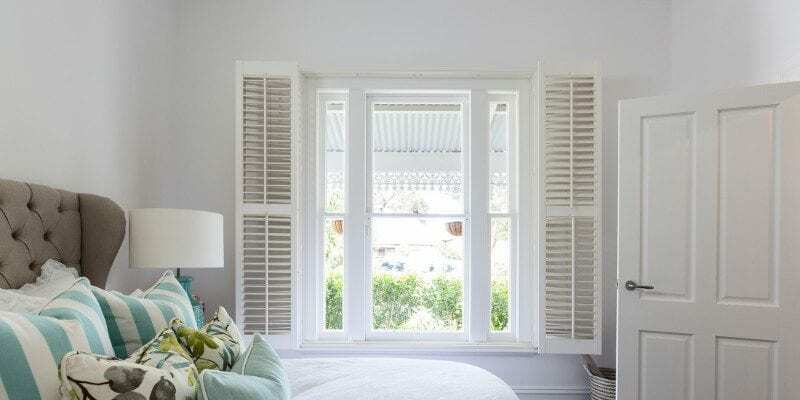 There are many different styles and features available to choose from, and our knowledgeable staff is happy to discuss your options so you can get the best shutters for your needs. Whether you go with wood shutters or a faux wood product, we are confident that the final result will be one you are pleased with. Our talented installation professionals make certain you are completely satisfied before they leave your home or business. We’ll go over how to operate your new shutters and care for them so you can enjoy a long life from them. If you have any questions about shutters or any of our other products, including window tinting, shades, and blinds, don’t hesitate to contact us. We are happy to schedule an appointment for a free estimate, so you can learn how affordable shutters can be for your home or office. At Sundown Home & Office Window Tint, Blinds & Shades, we specialize in window tinting and coverings that will enhance your décor and provide energy savings for your home or business. Western North Carolina – (west of Charlotte): From Asheville, Hendersonville, Waynesville, Brevard, Cashiers, Highlands, Boone to Hickory, NC. Upstate South Carolina – (north of Columbia): From Greenville, Spartanburg, Lake Keowee area, to Anderson, SC. Eastern Tennessee – (east of Knoxville): From Johnson City, Kingsport, Bristol, Erwin, Jonesborough to Greeneville, TN. Looking for Timeless Appeal? You Need Shutters! What are Window Films and How Can They Be Used?